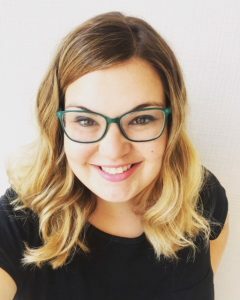 Morissa R. Freiberg, RJE serves as Director of Education at Congregation Beth Tikvah, a Reform synagogue in Worthington, Ohio. She is a native of Cleveland, Ohio and earned a Bachelor’s degree in Ethnomusicology and a Certificate in Judaic Studies from Ohio University, and a Master’s degree in Judaic Studies and Jewish Education from Siegal College of Judaic Studies. She holds a class “A” teacher certification from the Jewish Education Center of Cleveland. Morissa is a certified RJE (Reform Jewish Educator) by the international Reform Jewish Educators Title Granting Commission, a sub-governing body of the Union for Reform Judaism. Dedicated to inclusion of all learners in her education programming, Morissa completed the Matan Institute for Education Directors in 2015-2016. In 2016, Morissa was honored with the Larry S. Moses Outstanding Young Professional Award by the Jewish Federation of Columbus and The Wexner Foundation. Morissa is a member of the Association of Reform Jewish Educators (ARJE), and is excited to be serving on the Board of Directors for the 2018-2021 term. Before joining the staff at Congregation Beth Tikvah, Morissa has “worn many hats” in the field of Jewish Education, and has served as a Youth Director, Hebrew teacher, and Judaic studies instructor with various age groups. Morissa served as a Peer Engagement Intern at Hillel of Ohio University, where she also was extremely active as a ritual musician. As a cellist, she enjoys exploring the connections between Judaism and the power of music as a learning tool. Morissa is committed to guiding her students and community in building positive Jewish identities, and strengthening individual connections to Judaism through creative and meaningful experiences.